Besides being beautiful, for me, the alpine represent challenge and mastery. I enjoy spending my winters skiing, I've been enjoying the mountains environment since I was seven and I hope to be doing it well into my seventies. Even though I've been skiing for a very long time, I'm still being taught lessons by the mountains and I cherish every trip there. 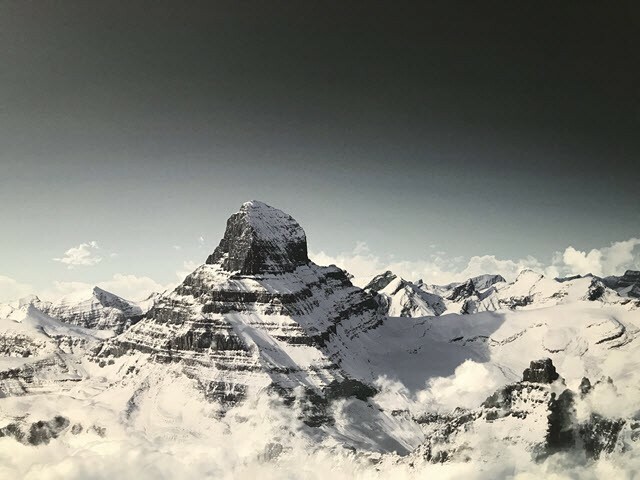 We were pleased to contribute to Riverside Medical Clinic's theme room and we selected an image that is near and dear to us, Mount Alberta. We are so lucky in Alberta to be so close to some of the most picturesque landscapes in the world - right in our backyard. Since many people find nature and the Alberta landscape relaxing - we thought Mount Alberta would be a perfect fit to create a soothing and calming experience in the clinic.